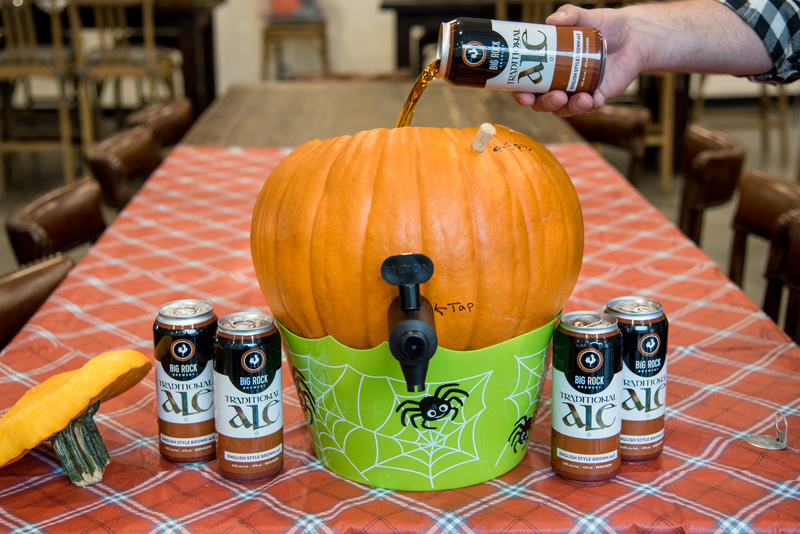 Impress your friends this Halloween by turning an ordinary pumpkin into a cask! And it’s easier than it looks. 1. Get rid of all the pumpkin guts and seeds. You’ll want to make sure you remove as much pulp as possible so it doesn’t get in your beer, or clog up the tap. 2. (Optional). If you have a spile and want to include it, outline the circumference of it and cut a small hole to insert it. 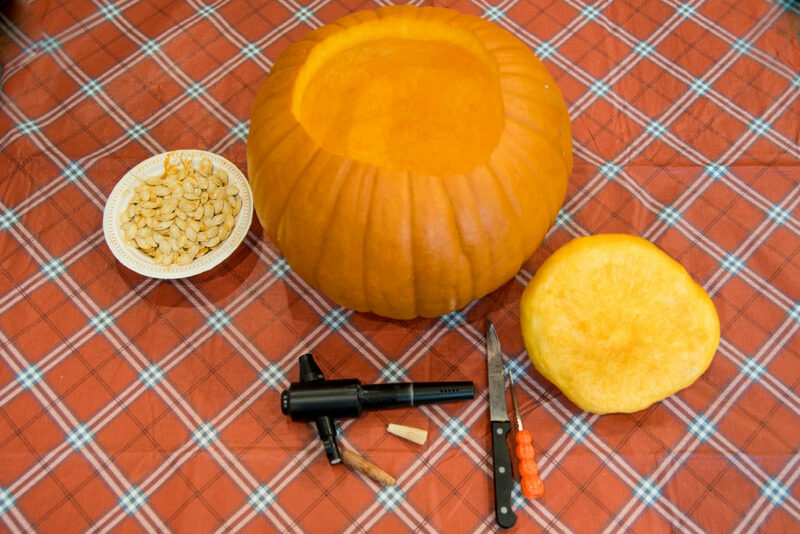 Technically, you don’t need one since the cut open top of the pumpkin will allow for air movement. 3. 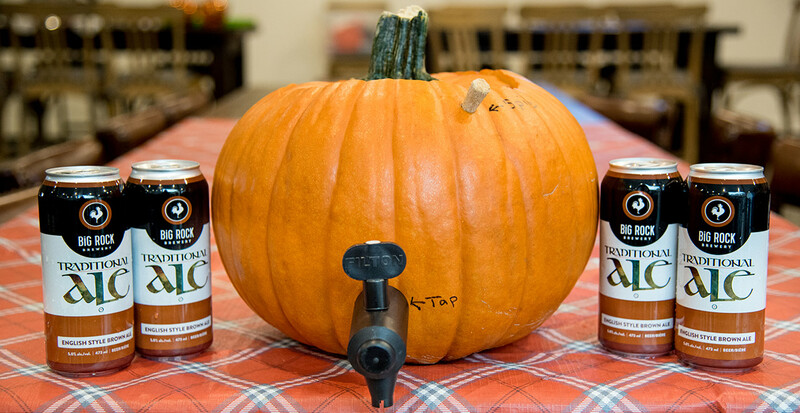 As close as possible to the bottom of your pumpkin, outline the circumference of your spigot. 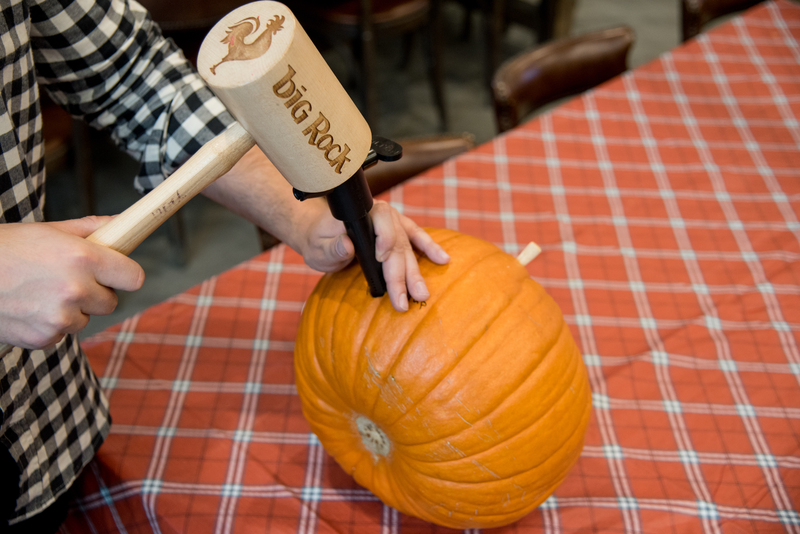 Slowly carve a small hole – IMPORTANT – err on the small side, you don’t want your cask to leak. Gently place your tap in the hole. If it goes in a little bit, that’s great. 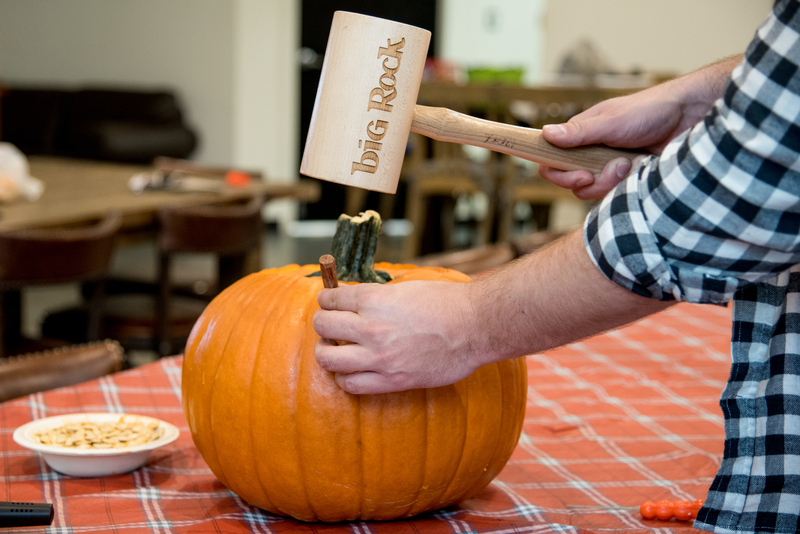 Now grab your hammer or mallet, and gently tap it into place. 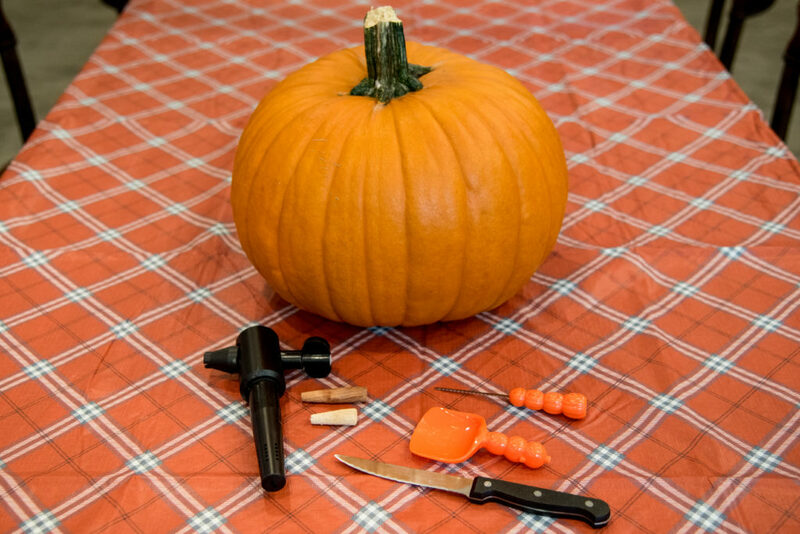 It should puncture through the pumpkin wall, but be very tight and not move. 5. 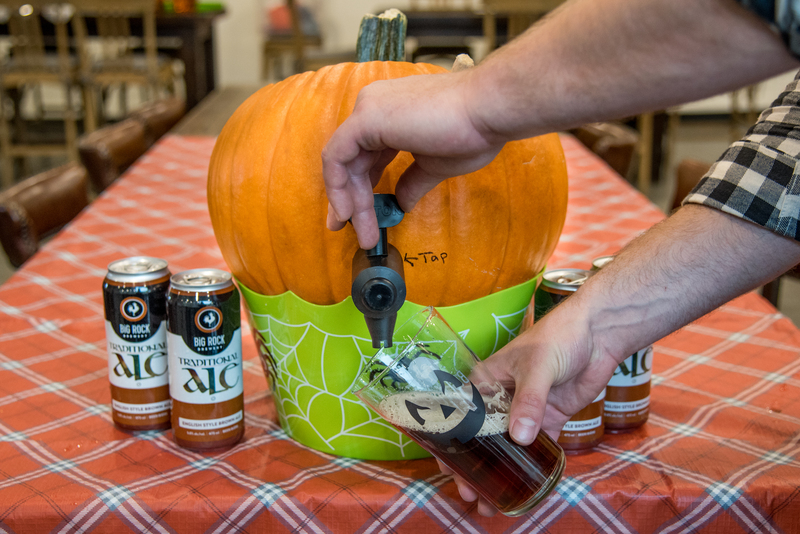 Elevate your pumpkin so that you can easily pour from the tap, and add your beer into the cask – our pumpkin held about 12 tall cans. 6. 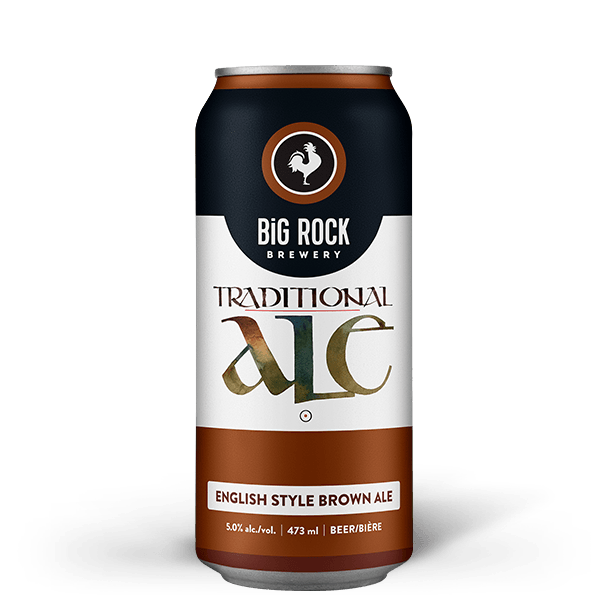 Pour away and enjoy!